I was so flattered, so appreciative and sooooo warm and fuzzy inside over my friend Nancy’s big heart, wanting to do something so special for ME!!! We got the work done and Nancy reached out to a bunch of amazing people whom I had helped over the years through various fundraising opportunities. The letters people submitted and the words they wrote truly humbled me and made me feel so darn special. “Monica creates jewelry, collaboratively, with women who want to impact causes they are passionate about, such as feeding children, assisting and supporting bereaved families, empowering children facing illness and ending violence against women.” Nancy McMillan, Chair, Bright Run Walk for Breast Cancer. “One person at a time, Monica is making a difference in the lives of others. She brings joy to many through her beautiful creations, but it is her compassion that sets her apart.” Pearl F Veenema, FAHP, President & CEO, Hamilton Health Sciences Foundation. “Monica sees potential in you when you feel the most dark and she binds you to others who support you achieving in ways you never imagined possible. Monica makes connections with – and for – women; her influence supports those women and the communities in which they live.” – Rosemary Judd Archer, Provincial Executive Assistant, OSSTF/FEESO & best friend since Grade 4. Last Thursday I attended the Nominee Reception at the stunning Art Gallery of Hamilton. We drank Pink Lemonade cocktails, nibbled on delicious hors d’oeuvres and mingled in a room filled with 70 nominees and their nominators. I had my Mom there with me as Nancy’s fill in which was fabulous and we kept Nancy up to date in REAL time as she was unable to attend. 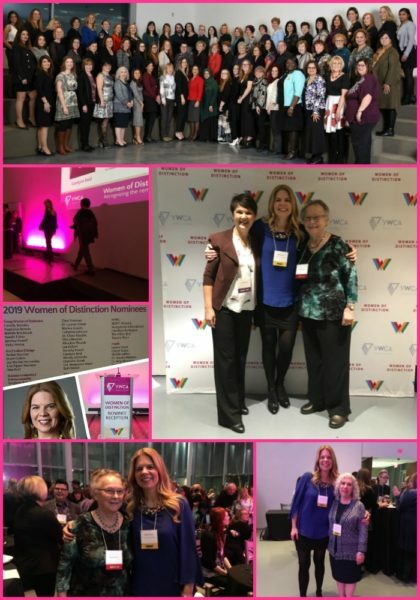 The evening was truly magical, our MC, the beautiful and talented Annette Hamm from CH Morning Live, spoke about the power of the women in the room and encouraged us all to not only get to know each other but to promote another nominee for their excellence. On our way to have the BIG group shot taken, I introduced myself to another tall girl like me. We laughed about how hard it was to walk in high heels and how quickly we glammed ourselves up for the evening, me having made jewelry all day and she having little mouths to feed at home. She did her hair in the car and I thought that was just so Wonder Woman like! Then we carried on joking about how we would probably get put in the back row as the tall girls and it would be grade school for us all over again. Then she asked me what I do and when I asked her she said with a smile, “Oh (,) I work at the Hamilton General treating patients with brain trauma.” My heart stopped – this woman was not the only person in the room dedicated to this type of life’s work. These nominees are the best of the best, they give every day, they work to give people better lives and every opportunity. The women whom I met on Thursday night were the Mothers of our community. They are the women whom we want nurturing us, giving their compassion and speaking on our behalf. Thursday night I came home feeling very excited about my nomination but even more grateful for having spent an evening with women who inspired me to always be the best person I can be for myself and for others. If you would like to give back, please check out our beautiful Three Little Wishes Earrings for our friend Lindsey who is undergoing treatment for uterine cancer. Thank you so much for your support. Monica, my dear friend, no one is more deserving than you. You lead, you inspire, you care. Our communities are blessed. Wonderful choice to nominate Monica, Nancy! You two are both wonderful! Wow! Such a deserving nominee for this award! Nancy was wise to nominate you, Monica! You truly encourage and inspire women with your passion and generosity, and you most certainly connect people. Keep being you! I’m so grateful for the chance to work with you on a project that I’ve become passionate about. Thanks for helping me achieve my goals. You certainly don’t “just make jewelry!” Love ya!